This Saturday, January 13, The Rainbow Restaurant in association with Concerts SA, presents its first concert for 2018, featuring Vusi Mkhize and his eight-piece band. Performers include Vusi Mkhize (lead guitar and vocals); Aristides Monique (second guitar); Mama Zing (drums); Mandala Zikalala (bass); Mthobisi Mthalane (keys); Zama Ndozi (vocals); Zanele Zulu (vocals); Zanele Mabaso (vocals). 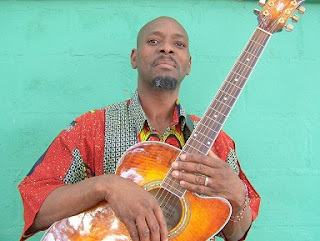 Mkhize is an established guitarist, singer, songwriter and producer originally from Mpumalanga township near Hammarsdale in KwaZulu-Natal. His music is a unique blend of African sounds- authentic contemporary South African music strongly influenced by traditional indigenous music. Each song rings out a different message but the common denominator is a message of Peace and Unity. The lyrics are based on the rich African culture in South Africa and forgotten truths. The concert takes place at 16h00 on January 13. Entrance is free. The Rainbow is situated at 23 Stanfield Lane, Pinetown. For more information visit http://concertssa.co.za, follow @ConcertsSA on Twitter at http://twitter.com/ConcertsSA or like us on Facebook at www.facebook.com/ConcertsSA.